It wouldn’t be Christmas dinner without those sprouts! 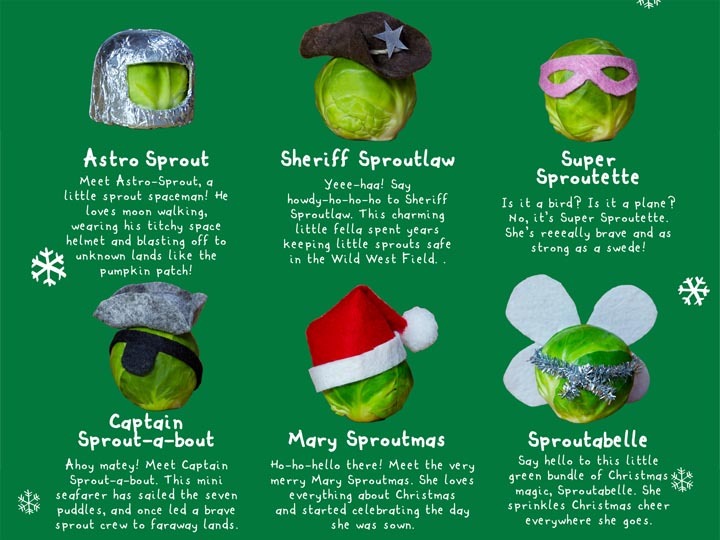 Love them or hate them, sprouts are soooo good for you in so many ways and this year they are good at helping Kids Company help kids this Christmas! 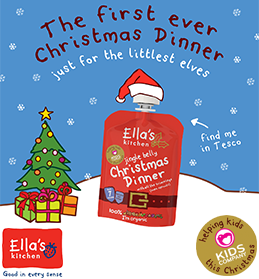 This festive season at least 30p from the sale of each of Ella’s Kitchen brand new jingle belly Christmas Dinner pouches will be donated to help Kids Company provide much needed food to disadvantaged children and their families on Christmas day. Available at Tesco, the limited edition jingle belly Christmas Dinner pouch suitable for little ones 7 months+ includes turkey with all the trimmings – potatoes, broccoli, parsnips, carrots, cranberries and even sprouts! And we’re talking about sprouts again! What were we saying about how it wouldn’t be Christmas dinner without those sprouts…..